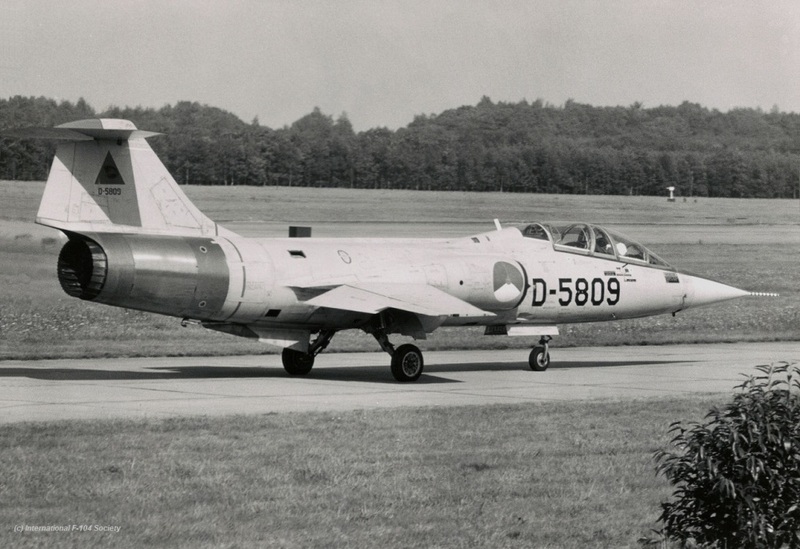 TF-104G D-5809 when in use by TDM at Twenthe Air Base, still light grey overall. 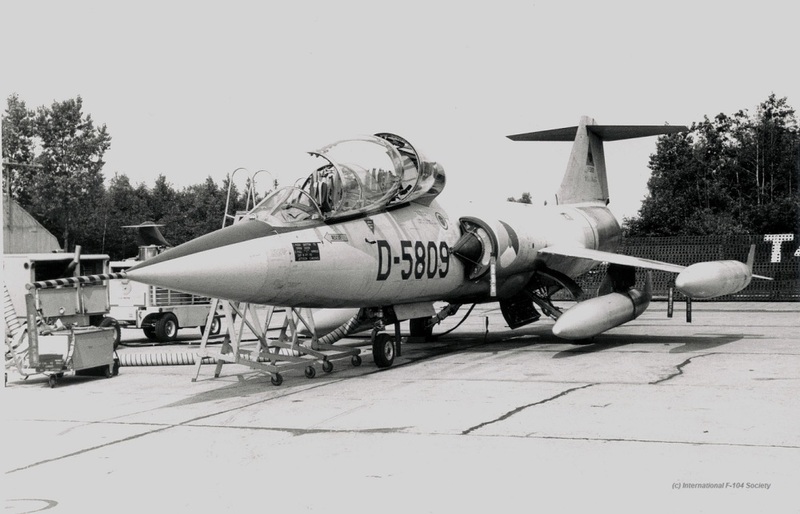 TF-104G D-5809 with TDM markings, taxying at Soesterberg Air Base. 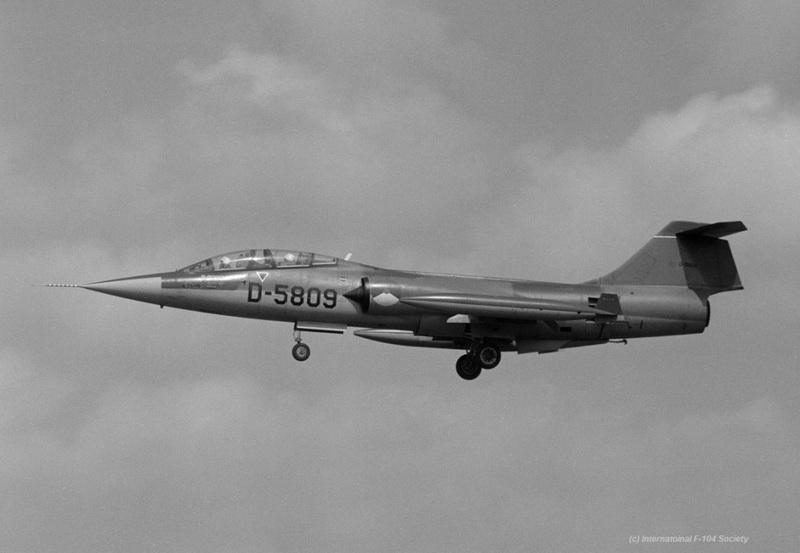 TF-104G D-5809 with D-5805 just delivered to the Dutch Air Force, without markings. 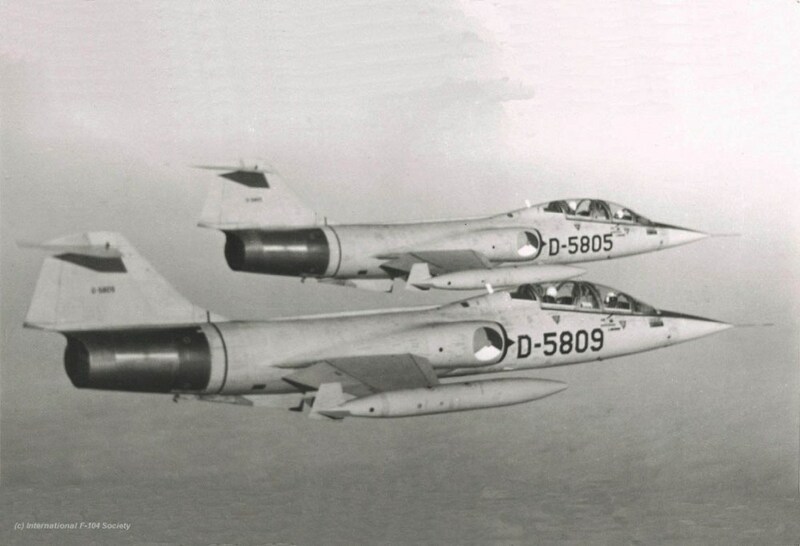 (IFS / A vd Zeeuw archives). 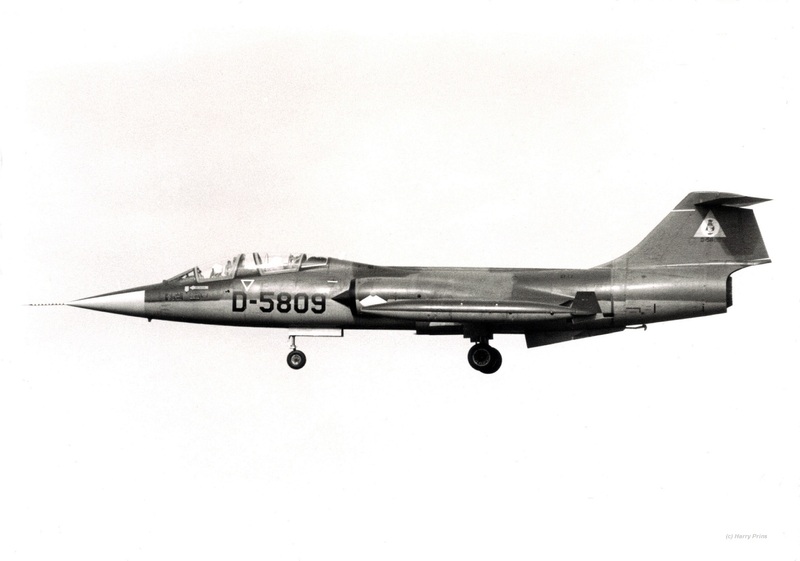 TF-104G D-5809 while landing at homebase Leeuwarden mid 70s without wearing squadron markings..
D-5809 landing at Leeuwarden Air Base around 1976 or 1977, wearing markings of TCA. 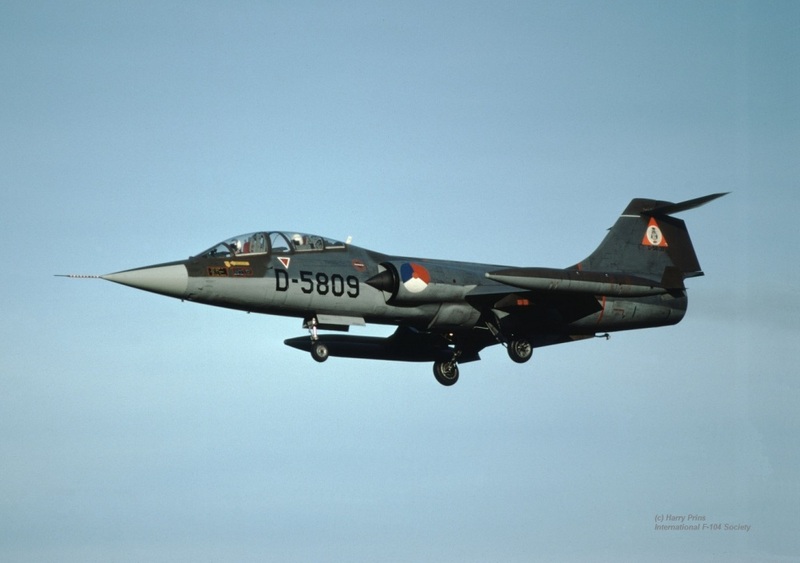 D-5809 landing at Leeuwarden Air Base in late 70s, wearing markings of TCA. 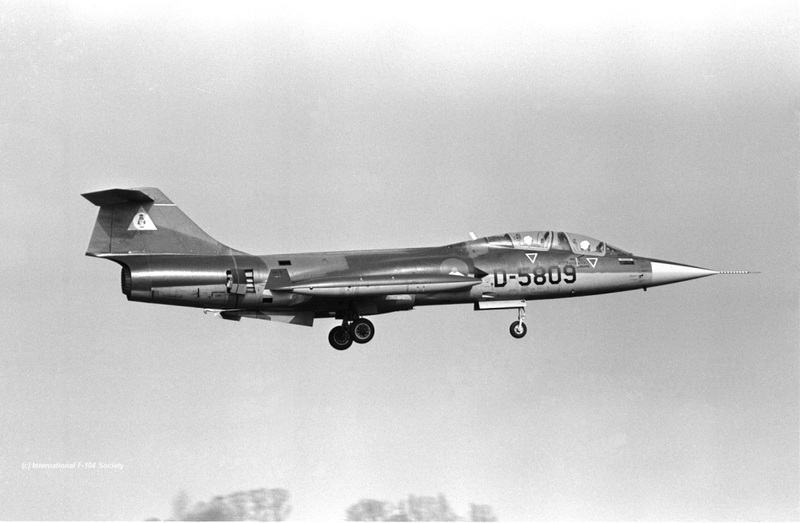 D-5809 landing at Leeuwarden Air Base mid 70s, without wearing markings. 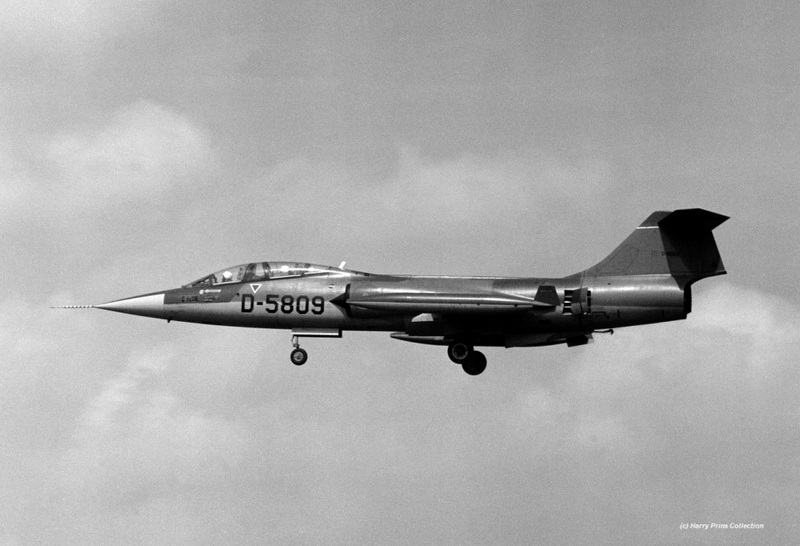 D-5809 landing at Leeuwarden Air Base late 70s, wearing markings of TCA. 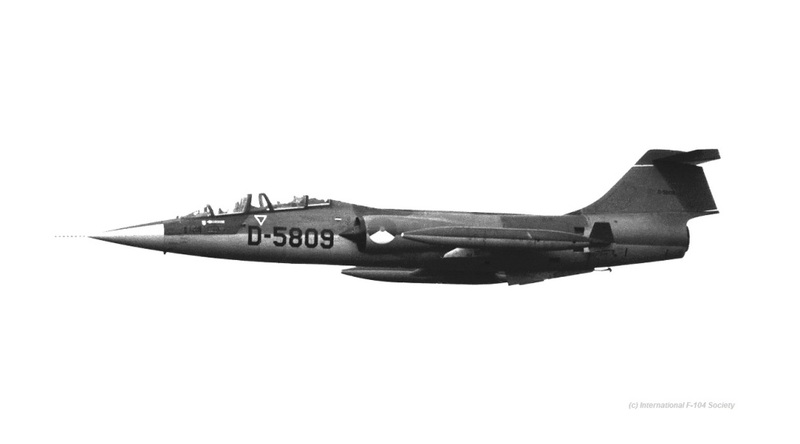 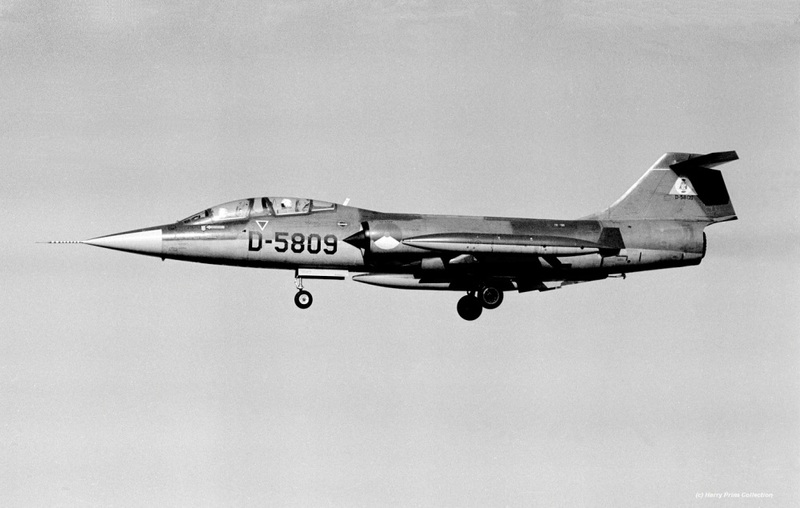 D-5809 landing at Leeuwarden Air Base in February 1978, wearing markings of TCA. 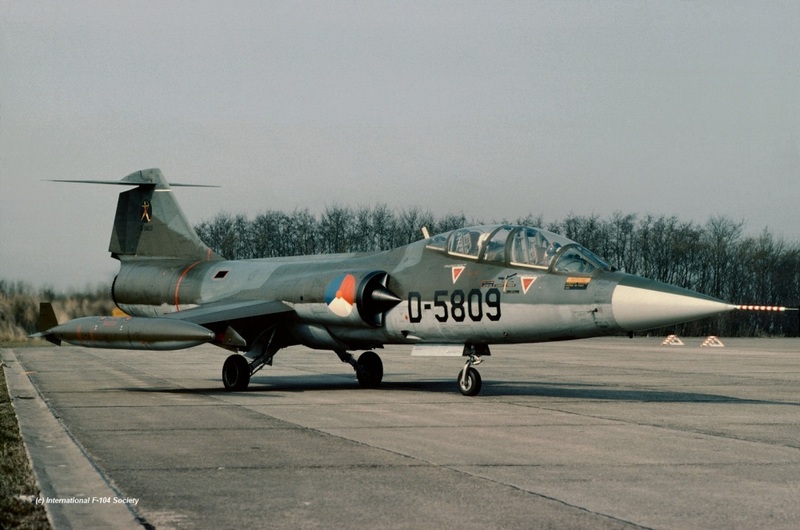 TF-104G D-5809 taxying to the runway of Leeuwarden during a press day in 1980.